Over a year ago I wrote about running 4 miles for the first time and what a mental challenge that was at the time. Well I’m still at it, and 4 miles doesn’t seem like a big deal, even on a bad day. I’ve run about 10 5K races in the past year, a 4 miler, a 10K and the Flying Pig half marathon. Once I established a regular habit of running 3 or 4 times a week and knocked down a few goals, it just became a part of my life. Always having a next race to train for helps, because there’s always a goal and I’ve always got a training schedule to tell me what to do. Right now I’m training for the Columbus Marathon on October 17th. Doing the Flying Pig half marathon was such a huge rush that it didn’t take me long to decide to take the next step. The Flying Pig is a very well supported race, with water stops and portable toilets every mile and cheering crowds nearly the whole coarse (even in the rain). I’m hoping Columbus will be similar, but even if it isn’t I’m going to give it a shot. After the Pig I was in the best shape I’ve ever been, so after a month of shorter runs and speed work I started the 18 week marathon training coarse. It’s just a game of pushing a little harder every week and building distance without going over the edge into injury. It’s easy to focus on speed and race times, but I had to learn early in marathon training that faster isn’t better (except when it is). I’d always run 3 days a week with breaks between, but this schedule calls for 3 short runs in a row midweek, a break then a long run Saturday and cross-train Sunday. I’d never run 3 days in a row before and it was tough. I’d never had to back off on a 3 mile run, but I found out if I kept my pace down I could do 9 miles in 3 days and not hurt myself. A couple weeks ago I had my biggest challenge yet – 12 miles midweek, followed by a 13 mile long run on Saturday. That’s 25 miles total and a half marathon (almost) as a training run. I’ve been running outside to acclimate to the weather which makes things rough. It’s getting harder to cram runs in before work so I did the first 3 miler on the treadmill. It was cool inside and I’m always impatient on the treadmill so I pushed it hard and did some record mile times. The next 2 days I ran outside and pushed it to see what I could do. I ran my fastest 3 mile time by a full 2 minutes.When I got to the weekend I was feeling tired from all that work, but went into my 13 mile long run feeling confident. I kept the pace at the usual for long runs and did the first 6.5, then turned for the run home. I’d been feeling fatigued the last 2 miles of my long runs, but this time I knew the whole return run would be rough. With 4 miles left to go I felt the knee and hip pain I’m used to near the end of a long run. Two miles left was agony and the last mile it was all I could do to keep going. When I finished there was pain and swelling behind my knee and I had to limp back to the car. So last week I cut a couple runs short, dropped my pace back to where it should be and rested. By Saturday I was feeling normal, and fortunately my long run was a relatively easy 10 miles. I got plenty of rest and hit it hoping for the best. I cut my pace about 10 seconds per mile from what I’d been doing and blew through the miles with no pain. So the lesson I need to keep learning is faster isn’t better. Marathons are about endurance. Really, everything is about endurance. The top 5K runners don’t just do 3 mile runs. I don’t know what I was thinking trying to push myself for the hardest training week I’d ever had, in the hottest part of the year. I hope I don’t forget again. Pacing is key, and if ya don’t finish there’s no point in starting. I’m glad I can break 10 minute miles again, but the marathon ain’t about that. I am the tortoise, not the hare, and I will finish the race. This entry was posted in Life, running on August 15, 2010 by Jeff. I’ve been thinking about the recent flap over Canonical’s small contribution to GNOME and what that means. Thinking so much that I woke up at 3:00 AM and still can’t get back to sleep. I usually don’t get involved in these things because others do a better job, but I’ve not seen anyone who really gets to the point I’d like to make. The best summary is Brian Proffitt’s article Canonical’s Disconnect with Linux Developer Community, and the original spark was Greg DeKoenigsberg’s article where he takes Canonical to task. It’s true Canonical’s commits to the GNOME codebase have been miniscule. Proffitt also points out their Linux kernel contributions have been weak. Jono Bacon responds to all this by pointing out that while Canonical hasn’t contributed directly, they’ve worked on projects outside of GNOME in their own development system (Launchpad). Others have pointed out that Canonical contributes users to Linux, so they should be excused for their lack of technical contribution. This makes me wonder if Jono, Mark Shuttleworth and the rest of the shapers of the Ubuntu philosophy are ignorant of open source tradition, or if they just don’t care. The best synopsis of the open source development model is in The Cathedral and the Bazaar where Eric Raymond points out that free software developers aren’t driven by money, they create to have something useful and to win the respect and acknowledgment of their peers. Becoming somebody in the Linux world comes from contributing. You become a recognized contributor on a project by getting code commits. My name is in the Jokosher credits because I committed documentation. It seems Canonical wants to short-circuit this model. The right to drive GNOME development comes form contributing. The more you contribute, the more merit your words have. As Jono points out, Ubuntu development is done in Launchpad. 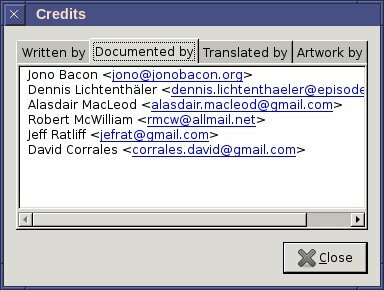 Rather than investing in GNOME and developing a reputation through contribution, Canonical has built their own system, developed their own projects and worked only on Ubuntu. When you make your own project you instantly become King, and you don’t have to work your way up. As Jono points out, the code is open and you can come and get it out of Launchpad. This isn’t how it’s supposed to work. There’s no law against developing outside of upstream, it’s just a selfish thing to do. Developing in your own system means you care more about yourself than the upstream project. Red Hat, Debian and Novell have bowed to the leadership of GNOME and shared their vision. Canonical has decided to go their own way.Shuttleworth may talk about building an exciting new future for Linux, but he’s only concerned about Ubuntu. Linux may benefit as a whole, but by others also turning their backs on the upstream projects and going the Ubuntu way. Canonical has created 2 camps, the Linux community and the Ubuntu community. It’s true that Ubuntu brings new users. It’s true that they’ve welcomed new users and helped them along and given them something they could be excited about. They’ve filled a niche that needed filled. My concern is that they’ve begun to teach these users a way of thinking that’s foreign to Linux and Free Software. Ubuntu is built on a deep foundation created by others. Ignoring that foundation is dangerous. So I’m left with the question: is Canonical just so enthused with their success that they’re willing to ignore the open source principles they’re founded on? Do they really not know how to be a good citizen in the Linux community, or is Shuttleworth building the Ubuntu brand at the expense of Linux as a whole? This entry was posted in Linux, Politics on August 3, 2010 by Jeff.